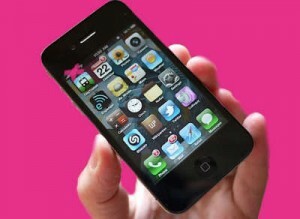 Does Your Small Business Need An iPhone 4s? Now that Apple’s “Let’s Talk iPhone” event has come and gone, one thing has become clear. And that is, whether or not you thought your small business could use an iPhone 5 , as we discussed back in the tail end of September, you will not be getting one. Plain and simple, there won’t be one to get. But you will be able to get an iPhone 4s, and since we now know the specs and details behind it, we can make a bit more thorough conclusion to one important question: does your small business need an iPhone 4s? 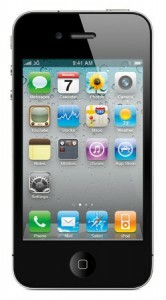 The iPhone 4s is looking at some significant upgrades against even the iPhone 4. Its A5 processor is actually the same kind currently used in the iPad 2, which gives you substantially more processing power. Its Retina display is also significantly more powerful than the previous versions, and you’ll be able to get storage space of up to 64 gigabytes, which is sufficient to hold most anything. The camera has been upgraded from a five megapixel to an eight megapixel version. Couple that onto the recent advancements coming up via iOS 5, including things like Siri, and you’re looking at a very powerful little package. Where before, it was tough to make a recommendation because we simply weren’t in possession of all the facts, it’s much safer to make a recommendation this time. For the most part, this is probably going to be something you’ll want on hand. It’s got the same processing power as many tablets, but in a sufficiently small form factor to fit in a pocket. This is going to be of huge benefit to the mobile professional or anyone who spends a lot of time on the road. Admittedly, it won’t be for everybody, but it will be very worthwhile for a lot of people. Spend a lot of time on your feet and need quick access to information? This will be a huge help. Out of the office on business calls, or show real estate? This will prove indispensable. Spend a lot of time at your desk? Then you probably won’t need this one. Even your budget won’t be too big a factor, as you can scale the storage to match your available budget. Naturally, there’s a contract involved with the pricing scheme, so you’ll need to consider it closely. But chances are, your small business will get a lot of help out of an iPhone 4s. Pingback: Siri May Kill Google, But What Does That Mean For You?